While there are many options when it comes to attachment selection, plus many niche markets requiring unique or even custom attachments, you wonder which ones are versatile enough for any job and worth the investment. CONEXPO-CON/AGG 365 suggests six attachments to consider. The popularity of compact equipment on construction sites continues to grow. Their versatility has even led heavy equipment original equipment manufacturers to produce dozens of attachments for each machine. Always think safety, first; read and study the manufacturer's operating manual for correct use and application of all attachments prior to use. 1. General-purpose (GP) buckets are so common that they often come standard on new machines. They are primarily used for earthmoving, excavating, trenching, grading, material handling and truck loading, and this diversity in core applications makes them a very popular — if not the most popular — attachment in construction and earthmoving. 2. Ditching buckets: A popular mini excavator attachment is a tilt-ditching bucket with the ability to angle 45 degrees both ways for a 90-degree range. This allows for proper grading and reaching awkward spots with less repositioning of the machine. A bucket that rotates 180 degrees is also a popular option. 3. The 4-in-1 bucket is designed to replace several buckets by merging features of several attachments, such as a GP bucket, a bottom-dump bucket, a dozer blade and a grapple. With a clam-style design, it can open and close similar to a grapple. The straight edge of the open bucket can function like a dozer blade. The closed bucket operates like a GP bucket, but offers a higher dump height. 4. Pallet forks are useful in material handling applications. Their length combined with a backstop allows for handling materials such as lumber, tree trunks and branches, long pieces of wood or metal waste. With a long, thin shape, they can go through a hole in an object, which results in greater balance than resting an item on top of the forks. They can also be quite good at piercing materials, useful in scrap and demolition. 5. Hammers are useful on any jobsite that may require demolition, especially of rock or concrete, but they can also help break up or cut down to size waste materials. 6. Grapple buckets can hold materials that are oddly shaped or larger than what standard buckets hold, making them ideal for debris cleanup. In addition to the six attachments listed above, there are numerous specialty attachments, including rotary cutters, brush chippers, flail mowers, forestry cutters, soil conditioners and stump grinders. All of these have multi-functional capabilities. A dozer blade can add versatility to a skid steer or compact track loader. For winter work, a contractor may seek dedicated snow-removal attachments. By choosing the right attachment, you can make your equipment more versatile, improve performance and increase productivity. 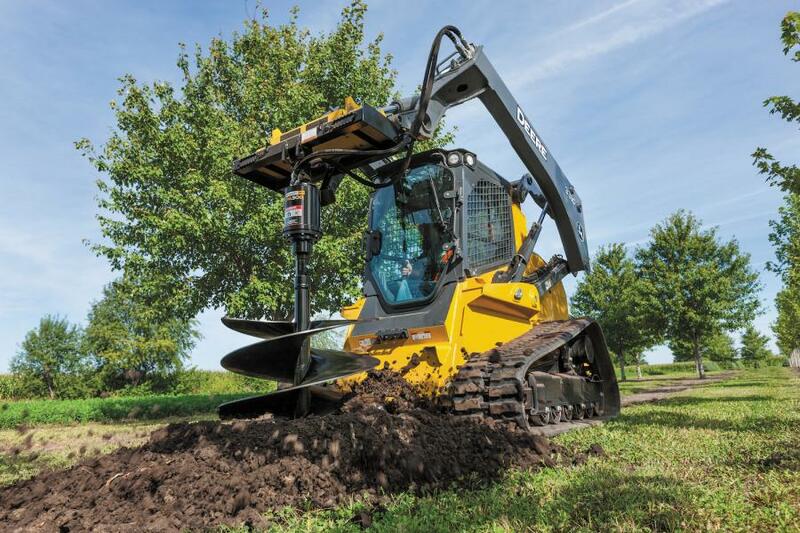 Several manufacturers provided insights for the CONEXPO 365 article, including AMI Attachments, Bobcat Company, Case Construction Equipment, Craig Attachments and John Deere Construction and Forestry.